Ready to try something new ? Slip on a wetsuit and get ready to jump, swim, slide and abseil your way down a canyon ! 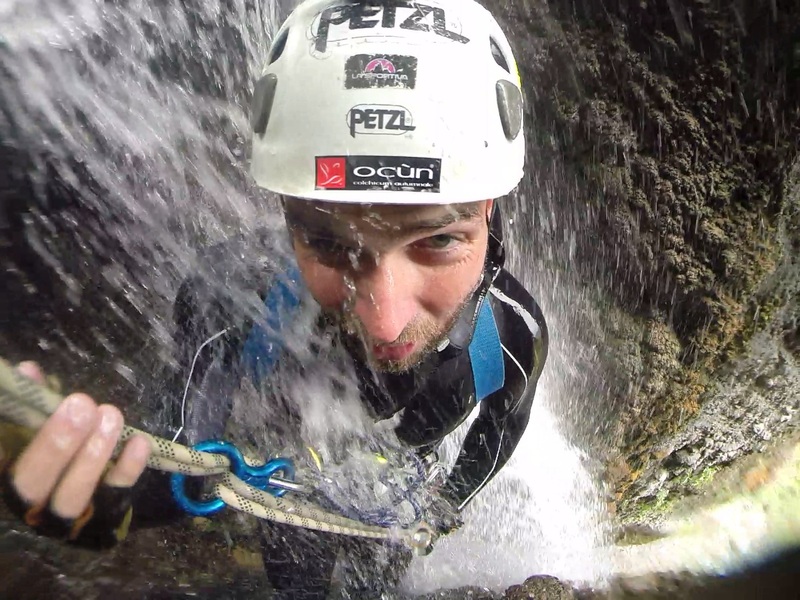 Canyoning is an adventure activity for all ages and absolutely no previous experience is necessary. Its a great way to get outdoors and into a totally refreshing new environment. You’ll love abseiling, swimming, sliding and jumping in natural alpine canyons nearby Samoëns. We’re lucky to have some of the region’s best canyons close nearby. Like natural obstacle courses, they’re just waiting to be conquered ! Canyoning excursions are suitable for all ages and can be adapted to suit the most timid or adventurous kids and adults. If you can swim, you’re in ! - "La Balme", suitable for adults and children 12yrs+, a fun canyon ideal for adventurous novices, with a 25m waterfall. Allow 2h30 in the water. You can always avoid jumps if you don't feel it ! - "Little la Balme", suitable for anyone over 8yrs. A child-friendly version of the larger La Balme descent, skipping all the bits that involve ropes. Allow 1h30 in the water. A lot of slipping, sliding and jumping for a lot of fun ! Half day or whole day excursions available. From 01/07 to 15/09 : open daily from 9.30 AM to 6.30 PM. Child: 45 € ("The Little La Balme" - Rate for adults and children from 8 years of age). The Giffre is a typical mountain river that flows through Samoens and is ideal for all types of water sports and activities.